To register for the conference or become a sponsor, please click on one of the following boxes and email the completed form to info@a-acc.org. 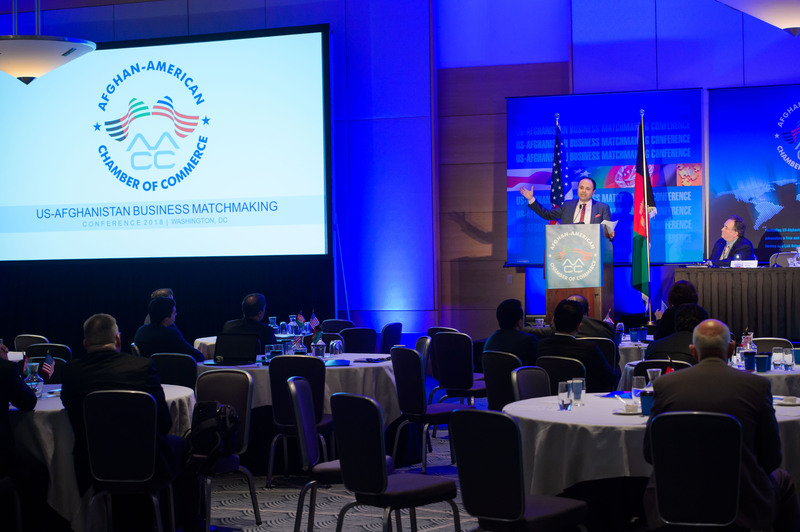 The Afghan American Chamber of Commerce (AACC) is the leading organization facilitating U.S.-Afghanistan business, investment, and trade ties through its Matchmaking Conferences and related activities. 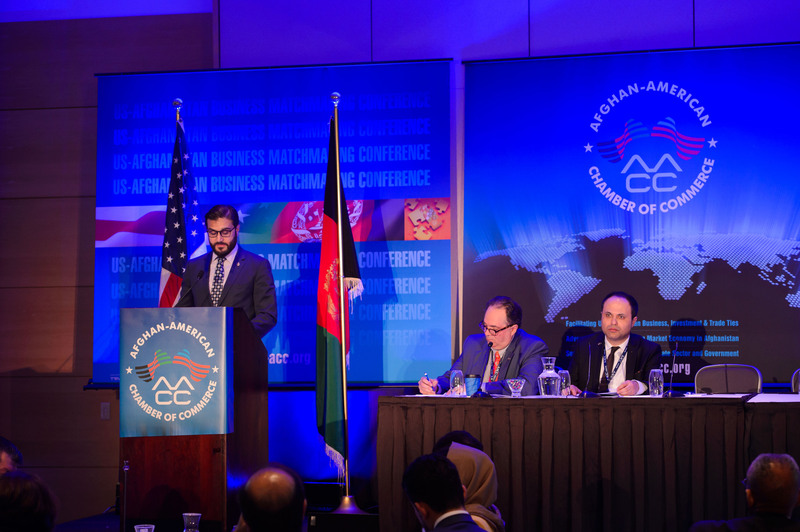 AACC promotes the exchange of information and provides resources to members through business advice, conferences, seminars, networking events, publications, and other avenues to stimulate U.S.-Afghanistan business and investment. 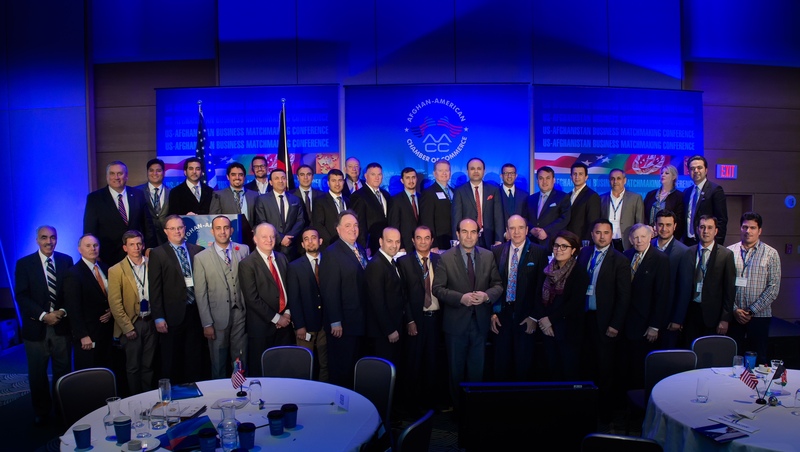 AACC is a growing national organization, bringing together companies, organizations, and individuals with a stake in helping Afghanistan succeed and developing opportunities in an emerging economy. Hon. Don Ritter, SC. 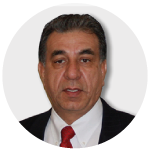 D.
Sulaiman Lutfi is the Chairman of the Board for the Afghan-American Chamber of Commerce (AACC), a Member of the Executive Committee and Board of Directors. As one of the founding members, he has helped develop the brand of AACC and supported the marketing efforts of the organization, since its inception. He was one of the key planners in organizing AACC’s Annual Business Matchmaking Conferences by securing venues and sponsors, promoting the conferences, and handling public relations and media efforts. 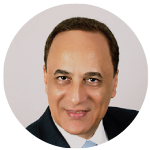 Sulaiman has over 25 years of unique experience in starting, owning and managing businesses and projects of all sizes; from designing and building media facilities to managing and consulting large-scale global marketing campaigns, he has successfully provided leadership and vision. He is skilled in leading complex international projects and businesses with extensive knowledge in the field of media communications, branding, and marketing. As an Afghan-American business owner of TriVision, he has helped start a successful marketing and media Communications Company with offices in the United States and Afghanistan. TriVision is an award-winning, full service agency that develops innovative strategies to achieve powerful and creative marketing, entertainment and media campaigns for its clients. 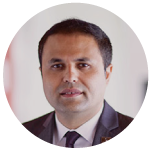 Sulaiman Lutfi is also the Vice-President of Kabul Felez International, a leading manufacturer of office furniture and steel construction, operating in Afghanistan. Experienced in philanthropic endeavors and board leadership, he co-founded and/or served on the boards of many non-profit organizations such as Afghan American Chamber of Commerce as Chairman, Turquoise Mountain as Board Member, Afghan Sports Federation as Vice President and Commissioner, and Afghan Academy as a Board Advisor, providing major impact to the society. In such roles, he successfully planned and organized large events and conferences, secured sponsorships and presenters, raised funding for charities and organizations. Sulaiman Lutfi received his Bachelor of Science Degree in Decision Science Management Information Systems from George Mason University and participated in many professional training programs and conferences for media communications and marketing. He has received numerous awards and certificates for his achievements and innovations. Jeffrey Grieco serves as President and CEO of the Afghan-American Chamber of Commerce (AACC), having been elected to this position in May, 2017. He has served on the AACC Board since 2011 and was most recently Vice President for Policy & Programs. In addition, Mr. Grieco serves as an independent foreign policy consultant with senior leadership experience within the U.S. government and private sector providing a unique mix foreign policy, national security, international business development, Congressional and public affairs and international assistance. 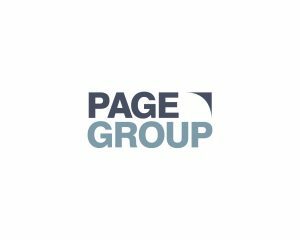 As a consultant to senior executive management teams, he provides federal contracting, strategic marketing & communications and government relations services to U.S. and international corporations and global non-profit organizations. Utilizing an extensive network of professional contacts, Mr. Grieco meets frequently with Administration and Congressional leadership and staff concerning international assistance policies especially as it relates to authorization (policy) and appropriation (budgeting) for U.S. assistance and related foreign policy and national security issues. He is a frequent speaker and panelist at foreign policy, national security and international development conferences and private thought leadership events dealing with such diverse issues as humanitarian response, Sudan, stabilization of fragile states, Afghanistan private sector development and the crisis in Syria and broader Middle East. As a U.S. Senate-confirmed Presidential appointee he served as Assistant Administrator for Legislative and Public Affairs at the U.S. Agency for International Development/U.S. Department of State. Mr. Grieco managed all agency global communications, media and public affairs and managed U.S. Congressional relations through a particularly difficult period in the post-9-11 foreign policy environment. In this role, he served as the Administrator’s official representative for all public and media affairs and public diplomacy activities involving USAID and was the agency’s lead public affairs representative at global meetings and conferences dealing with USAID’s role in the reconstruction operations in Iraq, Afghanistan, and Liberia and in response to major global crises and humanitarian disasters. His portfolio dealt with issues as diverse as USAID’s $20+ billion humanitarian and development portfolio and programs in more than seventy countries. The Honorable Don Ritter, Sc. D. is the current President and CEO of the Afghan-American Chamber of Commerce (AACC) and a member of the Executive Committee and Board of Directors. Since 2002, he has worked full time on Afghanistan and has been back to the country 22 times. Dr. Ritter represented Pennsylvania’s 15th district, the “Lehigh Valley”, from 1979 to 1993 in the U.S. House of Representatives, and has a near 30-year history in Afghanistan. As ranking member on the Congressional Helsinki Commission, he fought for liberty and human rights in the former Soviet Union, serving also as the founding chairman of the Ad Hoc Committee on the Baltic States and Ukraine. No other Congressional body even came close to the number of hearings the Helsinki Commission held on Afghanistan under Ritter’s guidance. As one of the leading congressional proponents of U.S. assistance to the people of Afghanistan during the Soviet invasion and occupation as prime author of the “Material Assistance legislation” and founder and Chairman of the “Congressional Task Force on Afghanistan”, Dr. Ritter continues his effort today via the economy and private sector to find solutions to Afghanistan’s challenges of insurgency and drug trade. He is founder and former Chairman of the Washington, D.C.-based Afghanistan Foundation, later known as the Afghanistan-America Foundation and a founder of the Afghan American Chamber of Commerce (AACC) in 2002. He also served as Senior Advisor to the Afghan-American Chamber of Commerce and the Afghan International Chamber of Commerce (AICC) in Kabul during the creation and development years of AICC, 2004 and 2005 under a USAID grant. Dr. Ritter was a major architect of the AICC, the first independent, free-market oriented Chamber in the history of Afghanistan, now merged with the Afghan Chamber of Commerce and Industry (ACCI). 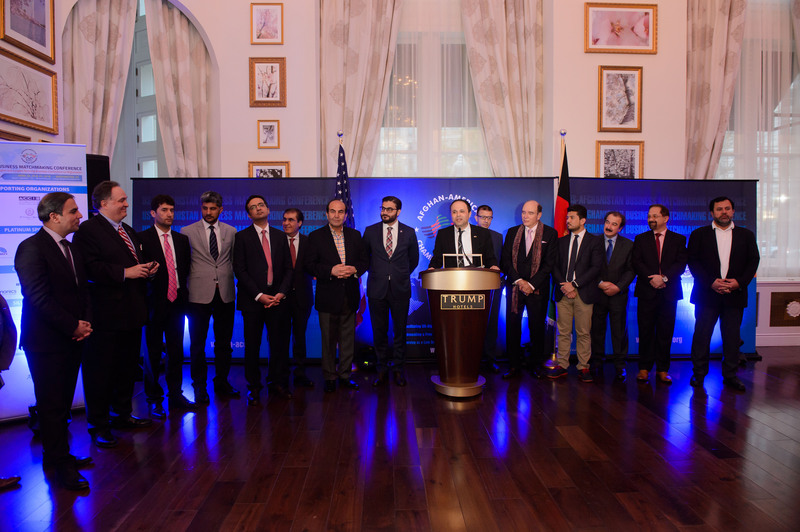 Dr. Ritter presently seeks to continue AACC’s seminal role in assisting the development of the Afghan market economy to bring stability and prosperity to Afghanistan. He also wears the hat of private businessman and investor in Afghanistan and is active in businesses involving consumer services, construction and carpets. Dr. Ritter holds a B.S. in Engineering from Lehigh University and an engineering doctorate from M.I.T. He was a NAS Scientific Exchange fellow in the former Soviet Union for a year and speaks fluent Russian. He was a member of the faculty and administration at Lehigh University for 10 years, a consultant to industry, and, after 7 terms and 14 years in the US Congress, was founder and President of the National Environmental Policy Institute (NEPI) for 10 years. Don also serves on the Board of Directors of the Victims of Communism Memorial Foundation and is Chairman of their Development Committee. Schweitzer is the Chairman and President of Friends of American University of Afghanistan, a 501c3 based in Washington, D.C., and a member of the American University of Afghanistan’s (AUAF) Board of Trustees. AUAF is the first not-for-profit, co-ed, private university in the history of Afghanistan. Leslie was instrumental in receiving two grants from the Department of Defense to construct the International Center for Afghan Women’s Economic Development built on the International Campus of AUAF in Kabul, and the AUAF Business Innovation Hub housed inside the center and in Herat. Schweitzer’s career in international business and development spans over four decades. She pioneered American business in China in the 70’s and her experience includes working in Russia, Central Asia, Europe, South and Central America. 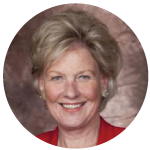 She is currently the CEO of The Osage Group, focused on business in developing countries. Leslie Schweitzer serves on the Advisory Board for International Programs at the University of Kansas, the D.C.-Virginia District Export Council, Ayenda Foundation, Amar Foundation (Iraq), the U.S. Afghan Women’s Council, USIP International Advisory Council and the Executive Committee of the Afghan American Chamber of Commerce. In May 2013, she received an Honorary Doctorate of Humane Letters degree from American University of Afghanistan. Yama Azami was born in Kabul, Afghanistan and migrated to the United States with his family in 1983. He attended the University of Texas graduating in 1993 with a Bachelors degree in Marketing. In 1996, he relocated to the Washington D.C. area. He continued his business profession as well as his organizational professions with Afghan Student Association, serving as vice president for one year and president from 1998-1999. In this role, he was very involved in community activities as well as raising funds to help the women and children in Afghanistan, sending significant amounts of monetary aid to help provide clothing, food, health care supplies and all items of necessity for the poverty stricken and helpless individuals of Afghanistan. During this time, he was building his professional experience and prospering in the mortgage industry. He has been in the mortgage industry since 1999 and he opened up his own company in 2005. 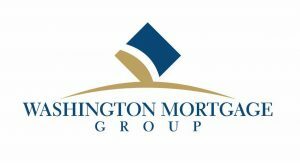 He is the President of Washington Mortgage Group, which provides residential and commercial financing for the Washington DC metro area. His company has built up an impeccable track record for the service they provide to their clients. 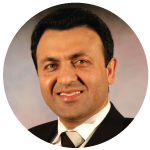 While he has been continuing his business profession, he has also been a member of the Afghan American Chamber of Commerce since 2007 and is currently on the board of directors serving as the Treasurer. Even though he devotes a great deal of time to his professional and organizational commitments, he still makes time for his personal commitments. He currently resides in Fairfax Station, Virginia with his wife and three children. Mr. Assad Mattin is the Founder and CEO of OXUS Consulting Group, a company based in Washington, D.C. and Kabul, actively providing training, assistance and advisory services to the U.S. government and private institutions in Afghanistan. Assad previously served as the Chief of Staff to the President of Afghanistan, Director of Communication at the Afghanistan Ministry of Foreign Affairs as well as Afghan Deputy Ambassador to the United Nations, NY. Assad’s corporate experience in the U.S. includes senior management positions at corporations including Marriot Corporation, St. Paul Insurance, USF+G, and First Equitable. Since 2007, Assad has spent the majority of his time in Afghanistan leading OXUS and regularly convenes policy level meetings with the Afghanistan leadership including the Afghanistan president, some cabinet members, parliamentarians, community leaders, as well as leaders of the Afghan private sector. Under Assad’s leadership, some contributions of OXUS include professional capacity training of Afghan private sector leaders across different industries, assistance and advisory to Afghan ministries across different functional areas/departments (including support for civilianization at MoD/MoI and transparency and anti-corruption initiatives), major technology/power/water projects, and the introduction/facilitation of leading global companies. Assad completed postgraduate studies in political science and diplomacy at Oxford University. He has also studied strategic management at Cornell University and business administration at Georgetown University. Assad completed his undergraduate degree in economics at Kabul University. Assad is a writer and provides economic and political commentaries for Afghan and international media outlets. He has chaired several major international conferences on Afghanistan’s economy and security in Kabul, Dubai and Istanbul. Assad is a long time board member and executive of the Afghan American Chamber of Commerce. Doug Brooks founded and developed the International Stability Operations Association (ISOA), the world’s leading private sector association focused on advancing the global role of the industry in supporting international efforts in conflict, post conflict, humanitarian rescue and disaster relief environments. Mr. Brooks led the association during a decade of unprecedented activity when ISOA teamed with multiple stakeholders from academia, think tanks, industry, government and nongovernmental organizations to develop and negotiate international codes, norms, standards and guidelines instrumental in shaping the modern Stability Operations industry. 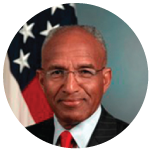 Now President Emeritus, Mr. Brooks serves on the Board of the Afghan-American Chamber of Commerce, teaches as Adjunct Faculty at the University of Fiji, and continues to maintain a close relationship with ISOA as he shares his expertise with leading firms in the industry as an independent consultant. Major General Arnold Fields retired from the United States Marine Corps in 2004 while serving as Deputy Commander of Marine Corps Forces in Europe and Africa. He currently serves the Department of Defense in support of the congressionally authorized Vietnam War Commemoration. During his 35 years on active military duty, he served in many capacities, leading servicemen and women and civilians in peace and war. As a general officer, he served as Director of the Marine Corps Staff at the Pentagon; Commanding General of all Marine Corps Bases in Hawaii with additional duties as Deputy Commanding General of the Third Marine Expeditionary Force; Commander of U.S. Central Command’s Forward Headquarters in the Middle East; and Inspector General of U.S. Central Command. He is a combat veteran having led a motorized infantry battalion in operations to liberate Kuwait during the 1991 Gulf War. He has remained actively engaged since retiring from military duty and has held several federal executive positions, including appointment to the U.S. Department of State as Chief of Staff of the Iraq Reconstruction and Management Office; to the Department of Defense as Deputy Director of the Department’s Africa Center for Strategic Studies; and a Presidential Appointment as U.S. Special Inspector General for Afghanistan Reconstruction(SIGAR) where he provided oversight of all U.S. appropriated funds for Afghanistan’s reconstruction, which amounted to over $61 billion during his tenure. Fields is a Fellow of the congressionally chartered National Academy of Public Administration (NAPA) where he chairs the Academy’s Standing Panel on International Affairs and is elected to the Academy’s Board of Directors. He also serves on the Board on Infrastructure and the Constructed Environment (BICE) of the National Academy of Sciences; and on the Board of Directors of the Afghanistan-American Chamber of Commerce(AACC). His military decorations include the Navy Distinguished Service Medal; the Defense Superior Service Medal (two awards); the Bronze Starr Medal with Combat “V”; the Meritorious Service Medal; the Vietnam Service Medal; and the Combat Action Ribbon. His civilian decorations include the Navy Superior Service Award and the Department of State Superior Honor Award. He is a Distinguished Alumnus of South Carolina State University and is inducted into the University’s Reserve Officer Training Corps (ROTC) Hall of Fame. He received his Master’s Degree in Management from Pepperdine University. Fields is a Graduate of the Army War College, the Marine Corps Command and Staff College and the Marine Corps Amphibious Warfare School. He completed seminars at Harvard University’s John F. Kennedy School of Government focused on post-Soviet Russia and independent Black Sea nations. He occasionally accepts invitations to speak on leadership and national security. Engagements have included Carnegie Mellon University in Adelaide Australia; the University of Adelaide, Australia; the University of the District of Columbia; and the Madinah Institute of Leadership and Entrepreneurship (MILE) in Saudi Arabia. In June 2017, General Fields was invited to Nairobi, Kenya to chair an International Symposium on Africa Security. 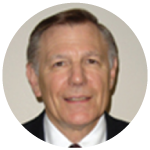 William C. (Bill) Joern serves on the A-ACC Board of Directors and the Executive Committee. 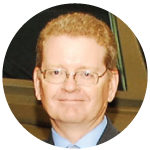 He has over 35 years of general management, strategic planning, program development and evaluation, budgeting, and contract management experience with private corporations and non-profit entities. His experience includes serving as a vice-president of an international training company, CEO of a health planning corporation, and group manager for the Washington operations of a R & D / information services organization. He has provided contract management and proposal development services on behalf of several US Government agencies. He has been an active participant with several organizations including the Washington-based Washington International Trade Association (WITA) and the Washington Regional Board of Trade. Mr. Joern is associated with US companies which manufacture, install, and maintain equipment in several sectors such as: food processing and packaging, food storage facilities, waste water and water purification treatment, building materials and technology, and pharmaceutical and medical supplies. He is familiar with a wide range of funding sources including private funds and the US ExIm Bank, US OPIC, and the World Bank’s IFC. 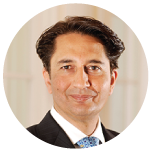 Ambassador Jawad also served as Diplomat-in-Residence at Johns Hopkins University’s Paul H. Nitze School of Advanced International Studies (2010-2015), and the Senior Fellow at Harvard University’s Future of Diplomacy Project at the John F. Kennedy School of Government (2010-2011). He is a graduate of Kabul French Lycée Esteqlal (1975) and the Faculty of Law and Political Science of Kabul University (1980). He studied Law in the Westfaelische Wilhelm’s University in Muenster, Germany (1981-1985), and obtained an MBA from the Golden Gate University in San Francisco (2001). He holds an honorary doctorate degree in International Management from Argosy University in Washington, D.C (2004). As Ambassador, he re-established the Embassy of Afghanistan in Washington, DC and developed it into one of the most responsive and successful missions in Washington. He managed Afghanistan’s diplomacy at a critical time with its key strategic partner through extensive interaction with the White House, State Department, Pentagon, U.S. Congress, U.S. media and academia; and initiated Afghanistan’s diplomatic relations with Brazil, Argentina, Colombia and Mexico. 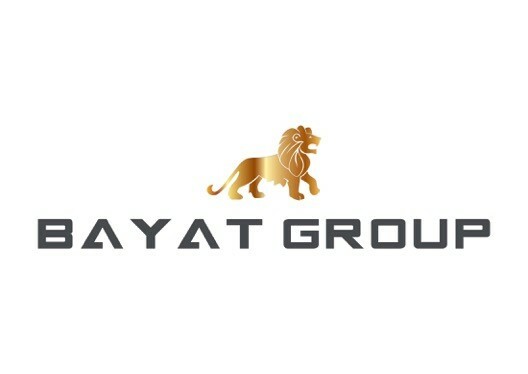 As Corporate CEO of Capitalize, he led a dynamic team of international business experts advising foreign governments, international companies, and investors on politics, defense, security, market entry, commercial opportunities, and development strategies in Central Asia and the Gulf regions, including Afghanistan. As Chief of Staff of the President of Afghanistan and Press Secretary , he was a member of the cabinet and the National Security Council contributing to rebuilding the country’s national defense, security and civil institutions, notably the Minister of Defense, formulating strategies and implementing structural reforms and organizing national councils and Jirgas. He acted as the President’s Principal Liaison with the Constitutional Commission in 2002. Ambassador Jawad’s op-eds and interviews have appeared in The New York Times, the Wall Street Journal, Time, the International Herald Tribune, Der Spiegel, Le Monde, The Guardian, Foreign Affairs, NBC’s “Meet the Press,” CNN’s “The Situation Room” and BBC. He has lectured at many academic intuitions in the United States, Asia, and Europe, and has been a frequent speaker at think tanks and policy centers worldwide. He has received numerous national and international decorations and awards, including the Medal of Sustained Service by the Constitutional Loya Jirga, Kabul, 2003; Special Award for Improving the Quality of Life, Washington, DC, 2007; and Award of Merit for Rebuilding a Nation, American Society of Civil Engineers, Washington, D.C., 2004. He speaks French and German and plays polo. After my twenty years bank management career including 16 years as Vice President of the International Division of Lloyds Bank California, I returned to my country of birth, Afghanistan, to re-establish its, banking system, which was severely damaged during two decades of war and lawlessness. I was able to utilize my American education and financial management experience to rebuild the country’s banking system. When I arrived in Afghanistan, four different bank notes issued by powerful warlords were in circulation, two thirds of which were printed and circulated outside the Central Bank’s control. In order to introduce a sound monetary policy, we had to replace all the existing banknotes in circulation with a new issue. This process was accomplished within a period of six weeks where twenty thousand tons of old banknotes were collected and destroyed in thirty two provinces of Afghanistan without a single incident of looking or disturbance. The key factor in our success was my ability as the project manager to negotiate and gain support of community leaders. This accomplishment paved the way to bring the economy under a professional management of the government and the Central Bank. Also it created a suitable environment for the international community to provide economic assistance to the country. The second major contribution, which I made to Afghanistan, was the establishment of a one-stop shop for investment in the country. As a Minister Advisor to President Karzai, I founded an organization called Afghanistan Investment Support Agency (AISA) where the time to enable an investor to establish a business was reduced from six months’ time to only four days. In order to do so, I had to convince all sectorial government departments to do away with bureaucracy and massive waste to simple five step process under the authority of Afghanistan Investment Support Agency empowered by a new Investment Law of Afghanistan. During two terms as Governor of the Central Bank of Afghanistan from July 2004 to November 2007 and, again, from November 2010 to December 15, 2014, I was responsible for enactment of over 11 legislations including the Central Bank Law, Afghanistan Commercial Banking Law, Mortgage Law, Anti Money Laundering and Combating Terrorism Law as well as Leasing Law. In spite of currency change over as stated above, I was able to maintain a reasonable exchange rate and single digit inflation rate in the country. The Central Bank of Afghanistan is being rated as one of the best performers during the periods which I served as its Governor and Chairman of Supreme Council of the Bank. During the years 2008 to 2010, I worked on major investment projects in Afghanistan such as the Kokcha Irrigation Dam under a $6 billion World Bank financing arrangement and Casa 1000, which will transmit electricity from Central Asia to Pakistan and India as well as the licensing of over twenty three thousand new companies during my leadership as the CEO of Afghanistan Investment Support Agency. Colonel Jim Bullion is currently the President of Phoenix Global Services, a consulting firm focused on identifying investment opportunities in challenging environments worldwide. 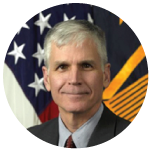 Previously he led the US Department of Defense’s Task Force for Business and Stability Operations (TFBSO) in Afghanistan, identifying and developing opportunities for private sector investments there, particularly in the country’s natural resources sector. Under his tenure, TFBSO supported the reconstruction and expansion of Afghanistan’s only natural gas pipeline, which will fuel two electric power plants in Northern Afghanistan. He has held leadership roles in banking, investment management, international telecommunications and management consulting as well as in the US Army. He combines a strong background in finance and investments with deep experience in strategic and operational management. He has built and managed operations throughout the Pacific Rim, worked in Europe and in Africa and served as chief operating officer for companies undergoing substantial change. His business career has been complemented with 30 years of service as a US Army and Army Reserve officer, including two combat tours in Iraq for which he was awarded the Combat Action Badge and three Bronze Star Medals. Colonel Bullion also serves on the board of directors and is treasurer of SOLA, a private boarding school for girls in Kabul. He is a graduate of Dartmouth College, where he also earned his MBA at the Amos Tuck School. Nadim Amin serves as the founder CEO of ARG, and the Co-Founder and Advisor of JAHAN (Join and Help Afghanistan Now). He leads and directs projects in construction, consultancy, procurement, logistics and transportation, security, and other services; offers deep insights into past circumstances, current challenges and future dynamics of the economic, political, security and social conditions of Afghanistan; imports of materials and products from USA, Europe, Middle East, East Asia and Central Asia to Afghanistan. Nadim recruits and provides international and national professional staff to the International Organizations in Afghanistan. Recruits, trains and retains a cohesive security corps in order to provide security to the US and other International projects in Afghanistan. 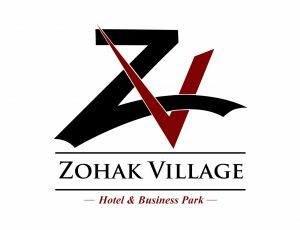 More than 15 years of professional experience in directing, managing and consulting in project design, development and implementation. 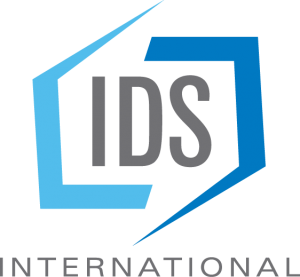 Provide a broad spectrum of services focused on global mission support for the contractors; that support Department of Defense and other US and International Agencies. Proven track record in managing humanitarian and development programs in livelihoods, agriculture, women/children’s education, health, and income generation activities, local governance, and community development in, insecure areas of Afghanistan. 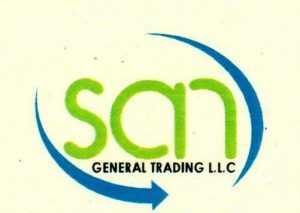 Extensive background in logistics and distribution/transportation, planning and implementation. 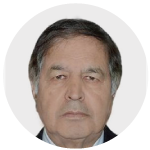 Mr. Amin has worked with Siemens Westinghouse Power Cooperation; Georgetown University-DaimlerChrysler USA in conjunction with Dimler Procelor and Ministry of Higher Education Afghanistan; and founded the Afghan Relief Organization. 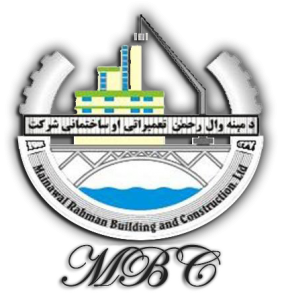 Nadim Amin awarded for the outstanding services in doing projects by US Army year 2015 and received the Business of the Year award from AACC in 2012. 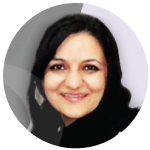 Lida Nadery Hedayat is the Chief of Party for PROMOTE Task order Women’s Leadership Development Task Order (WLD). Lida served as the Deputy Chief of Party-Technical and briefly as the Acting Chief of Party for USAID’s Land and Reform in Afghanistan (LARA) project and Promote women’s Leadership development implemented by Tetra Tech. A well-known woman activist for women’s rights in Afghanistan. 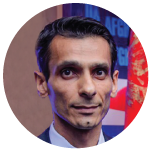 Qasim M. Tarin is the co-founder and chief financial officer of the Afghan Business Network and the president and CEO of Electro Imaging Systems. As an entrepreneur, Qasim has quickly built his own successful organization consulting business and is helping other entrepreneurs develop their businesses worldwide. He is both a business owner and business developer to help rebuild Afghanistan’s economy as well as restore business. As an Afghan American, Qasim Tarin understands the culture along with the desires of the Afghans and can reach out and relate to them. Qasim Tarin attended Habibia High School in Kabul, Afghanistan. He graduated from International Telecommunication University in 1979. Through his education, Qasim was involved in connecting channels of telex and telegraph between Moscow and Kabul. Due to invasion of Afghanistan by Soviet Union, Qasim Tarin left the country to live in the US and start a new life. He married Salma Tarin, an Afghan American and has three beautiful daughters. He has been trained and has worked with large corporations such as Toshiba America, IBM, Cannon USA, Xerox Corporation, Hewlett Packard, and Ricoh Corporation USA. He was involved in the design of a typewriter to be connected to a PC through Teal Industry. He is a member of the Rotary International and the CEO Alliance Group. 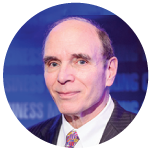 He is also part of the advisory group of Business Technology Associations and Xerox Corporation. 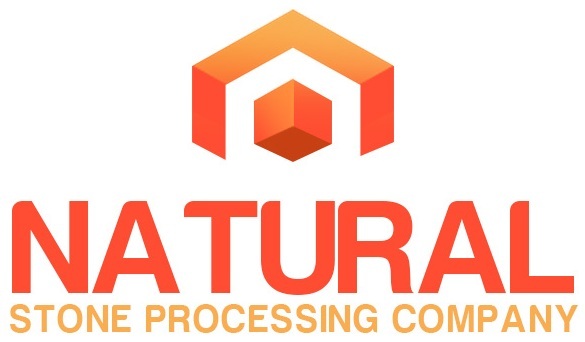 Through his training and experience, Qasim Tarin began developing his own business (Electro Imaging Systems, Incorporated) in 1994 in Pleasanton, California. He started his business from zero and built the business into a corporation in Northern California with over thirty employees. With his wife, Salma Tarin, he developed the idea of the Afghan Business Network, Incorporated (now a 501(c)(3) tax exempt organization) to give his knowledge and expertise of developing a business to all developing entrepreneurs around the world. In 2012, he became President of Afghan American Chamber of Commerce Northern California Chapter; he is the Chairman of Afghan International Development Corporation (a for profit “C” corporation), and the originator of the Unity and Freedom Movement of Afghanistan – an Afghan International Political Advocacy Group (a U.S. Based 501(c3) tax exempt organization).